Delhi Capitals (DC) will play Sunrisers Hyderabad (SRH) in the match no 16 of VIVO Indian Premier League (IPL). The match will be held at Feroz Shah Kotla Stadium, Delhi. DC lost their last game against Kings XI Punjab (KXIP) at Mohali, where they were unable to chase down the total of 166. 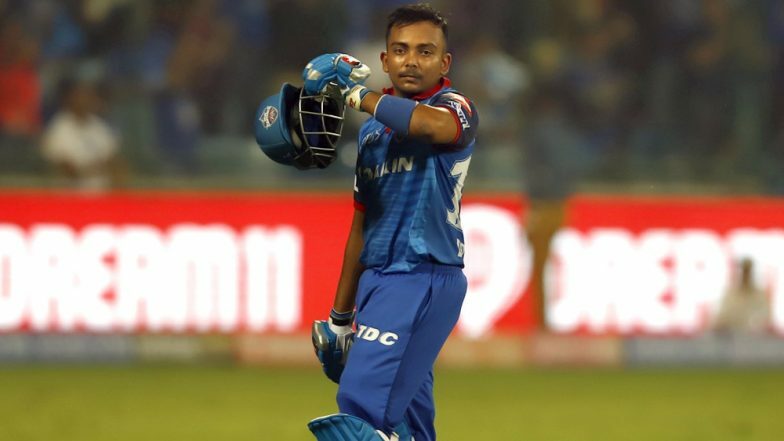 Delhi team opening batsman Prithvi Shaw has shared his thoughts ahead of their clash with SRH. IPL 2019 Today's Cricket Match: Schedule, Start Time, Points Table, Live Streaming, Live Score of April 04 T20 Game and Highlights of Previous Match. The 19 years old Shaw is confident that his team DC will do well in the upcoming game against Hyderabad. According to him, every player in their team is mature and everyone knows their part very well. Prithvi Shaw got dismissed on golden duck by KXIP skipper Ravichandran Ashwin. However, the right-handed batsman played a fantastic knock of 99 last time when DC played in their home ground against Kolkata Knight Riders (KKR). Delhi team won the game against KKR in the super-over. DC team has won 2 matches out of the 4 games they have played till now in IPL 2019. Delhi Capitals vs Sunrisers Hyderabad Live Cricket Score 16th T20 Match. “We are ready to go!” @PrithviShaw shares his thoughts ahead of #DCvSRH! Both DC and SRH have earned 4 points in this tournament, where Delhi has lost two games, while the latter has lost only one match against KKR. Delhi could have easily won their previous encounter with KXIP, however, Sam Curran hat-trick spoiled their party. Delhi Capitals has to work on finishing the game properly, as in their previous game they lost their last 7 wickets in just 17 balls.